Primer. I am still on the fence on which one I love the most. So I just keep trying different ones till I have a good feel for some of the offerings on the market. 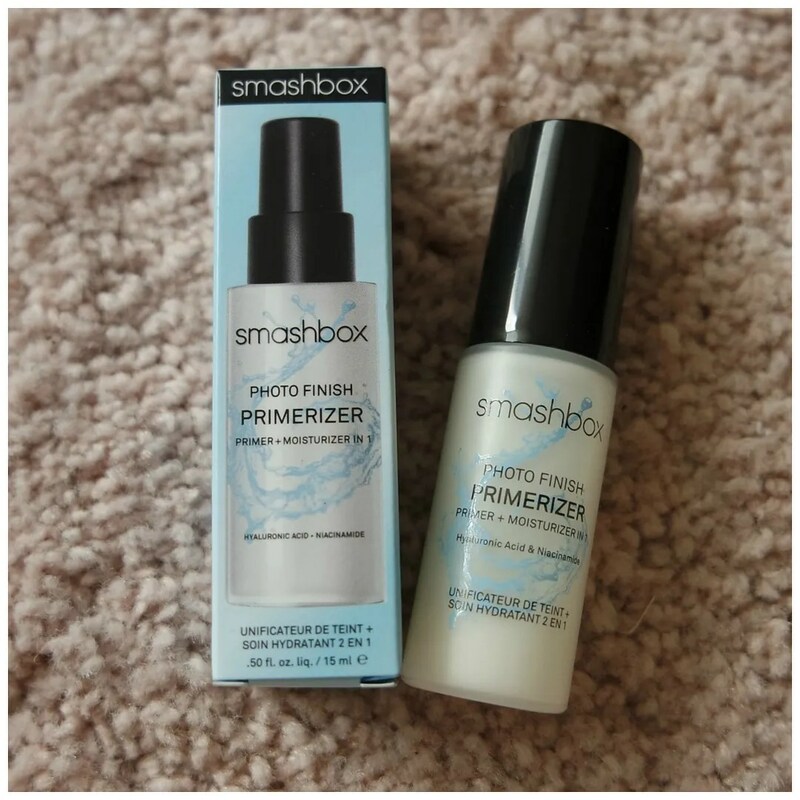 A recent primer release that I was looking forward to trying was the Smashbox Primerizer. I heard so many people raving about this when it first launched. It is quite pricey, but when I found it as a travel sized version, I knew I had to try it. Let’s just start with that price point. The full size containing 30 ml retails for €39.27. Let that sink in for a minute: nearly 40 euros for a product that sits under makeup and does not have many visible effects. Because a good primer is nearly undetectable. The travel size contains 15 ml and costs €15.30. That seemed a lot more reasonable to give this product a try than paying for the full size. I highly recommend that if at all possible, you try buying small or travel sized products, especially for expensive products. Try it first, before you commit. Since this is a travel size, I was very pleased to see that the brand didn’t skimp on the packaging. This truly is a mini version of the full size. I appreciate that, because often smaller sizes do not have the same packaging. There is a handy pump which is easy to use and it works well. What this primer thrives on is the promises it comes with. The main claim? Hydration. 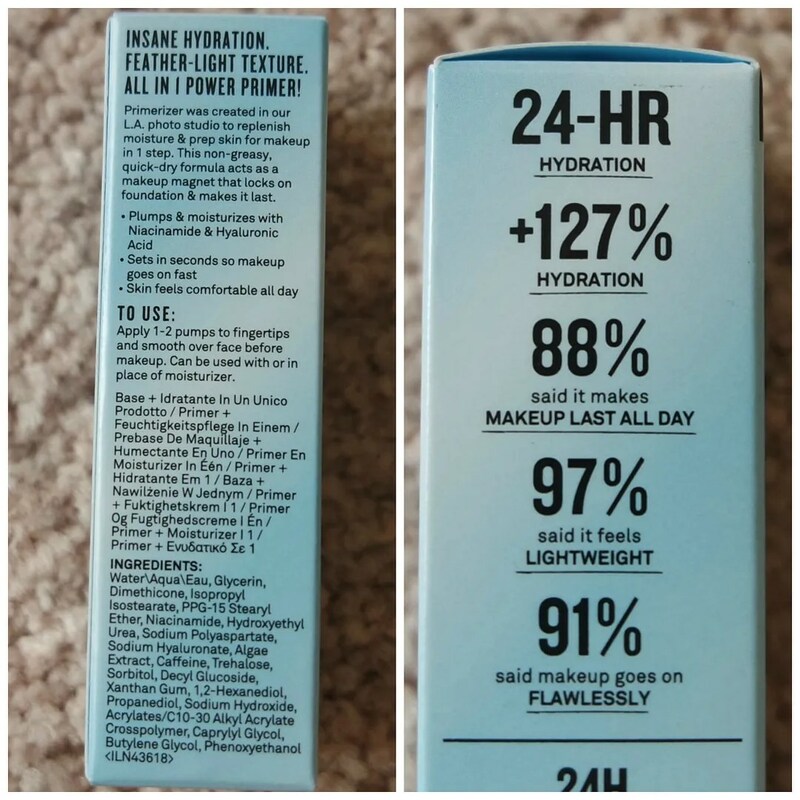 This is supposed to be the most hydrating primer on the market. 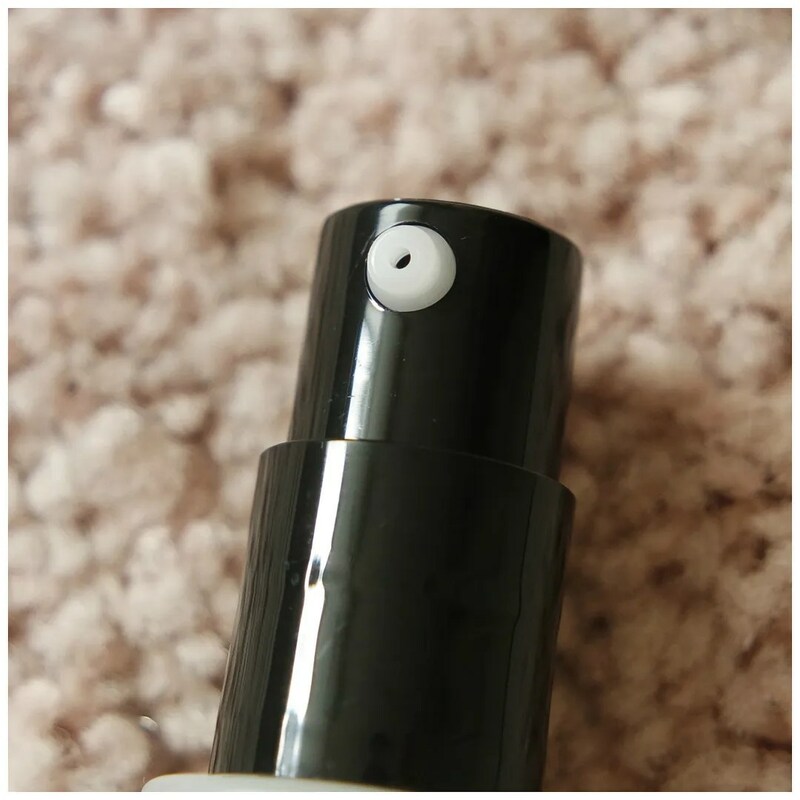 It is not only, is lightweight, is absorbed quickly and it should make your makeup last. It is not silicone free, but it certainly doesn’t feel very slippery either. When you pump out the product, you get a white, milky product. It blends out into a clear, nearly watery substance that sinks in within seconds. Once blended it, it is absorbed by the skin and doesn’t sit on top: a good quality for a primer to have. It is not heavily scented like the Too Faced Hangover RX primer, but I prefer that in my beauty products. The one thing that bugs me about this product is the amount of product I need. Yes it is hydrating, yes it sinks in quickly, but I also need a lot of product to cover my entire face. The packaging says you need 1 to 2 pumps, but I need 2 – 3. And each pump dispenses quite a bit of product. That means you go through this product quite quickly. I have been using this for 6 weeks and I am nearly through the bottle. On the left: my face without any product. On the right: my face with a fresh application of primer. It looks nice. It makes my skin feel great. It definitely feels more like a moisturizer than a primer. But that makes me think that perhaps some moisturizers might be really good primers too. 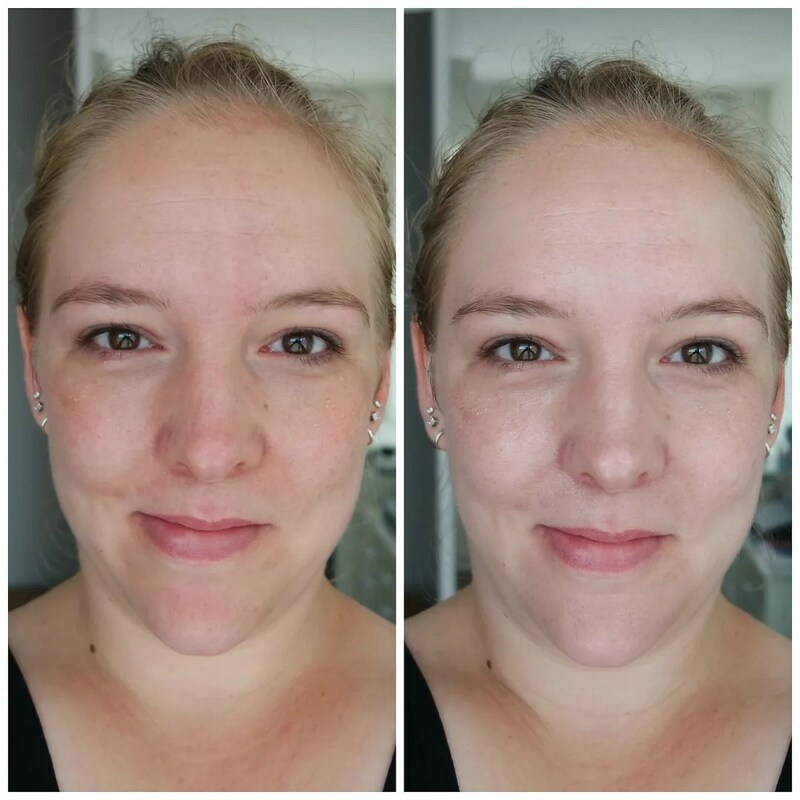 This also adds a bit of glow, it makes my skin look healthy and make up applies and sits on top of it very nicely. Does it make my makeup last longer? Yes. But not much longer than other primers that I have tried. What I like is how, even in very hot weather, this didn’t make my skin look greasy nor did it make my makeup break up all that quickly. Of course, that also depends on the foundation and setting spray you add on top, so I don’t think it is all down to this primer. I am a bit on the fence about this one. 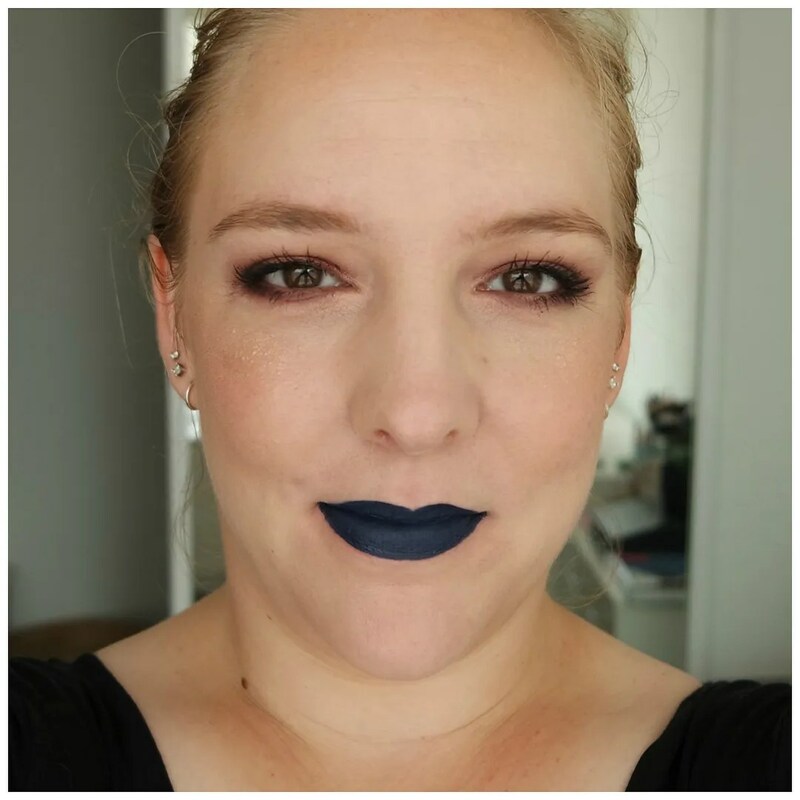 The Smashbox Primerizer has everything going for it. It does everything a primer needs to do, but it is also incredibly expensive for what it is. I like the hydrating aspect, I like how quickly it is absorbed by my skin, but I am running out of it quickly. So while this is a great product, the price point and how quickly I am using this up are drawbacks that makes me doubt I will repurchase this. What primer do you like? I know right! It’s a great product, but so so expensive. I was tempted by this as so many youtubers were raving about it . But it is so pricey that I just can’t pull the trigger on it. Great honest review! Thanks! I was glad I found the mini. Now I at least know that the full price won’t be worth it for me.